A Turkish court has arrested four people over tweets praising twin bomb attacks on Turkish police officers outside a football stadium in İstanbul on Saturday, the Haberdar news portal reported on Tuesday. The four suspects, İbrahim B., Hakan A., Filiz Ç. and Cezmi D., are accused of supporting and praising “terrorism activities” carried out by the Kurdistan Workers’ Party (PKK) and the Kurdistan Communities Union (KCK). 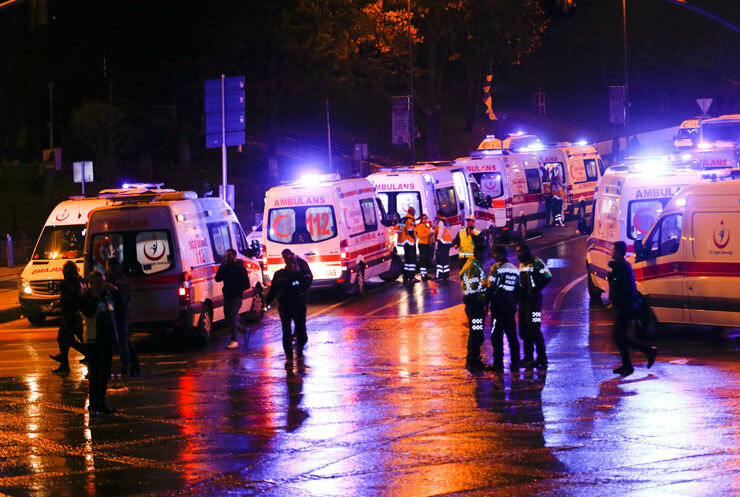 The Kurdistan Freedom Hawks (TAK), an offshoot of the PKK, on Sunday claimed responsibility for the twin bomb attacks in the Beşiktaş district, which also injured more than 160 others. TAK’s attacks came as Turkey has stepped up its crackdown on Kurdish politicians in recent months. Trustees have been appointed to dozens of municipalities in the country’s predominantly Kurdish Southeast, while Turkish courts in November arrested 10 pro-Kurdish Peoples’ Democratic Party (HDP) deputies including the party’s co-chairs. Two more HDP deputies were also arrested on Tuesday, bringing the total number of arrested HDP deputies to 12.